DroidDosh.com - MIUI 9 (7.9.7) Global Beta based on Android Kitkat for Lenovo A6000 and A6000 Plus. This ROM is included with SuperSU and GApps. 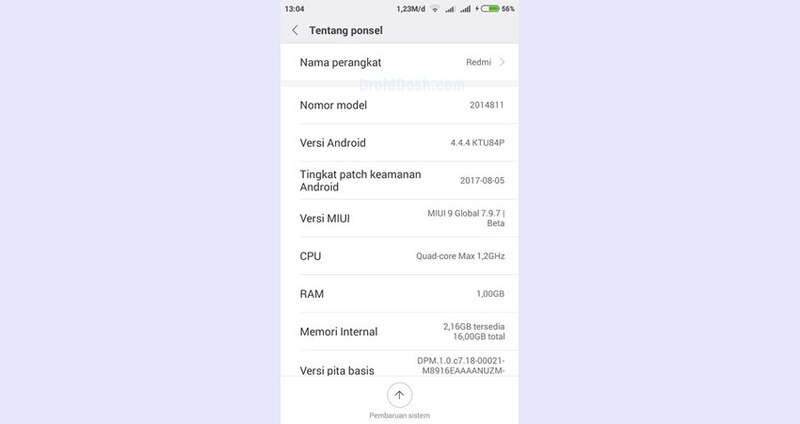 This ROM has been ported by Difa Agung, member of (OFFICIAL INDONESIA) LENOVO A6000 INA and all credits goes to him for his hard work. Now on this article I am going to tell you how to flash/install MIUI 9 on your Lenovo A6000 or A6000 Plus. Before you going through the entire tutorial, make sure you have read and agree about the disclaimer below. Rooting or installing a custom ROM or recovery might brick your device or your device may act abnormally and you also lose the device warranty. You may even get a dead SD card which might not work or you can leave your device in a dead state. Before going through the entire tutorial please be advised that it is your own responsibility to go further. We are not liable for any loss of data or any property of yours by any mean. Boot into recovery mode (TWRP) by press and hold the Volume Up, Volume Down, and Power button simultaneously. When you feel the device vibrate, immediately release the keys.